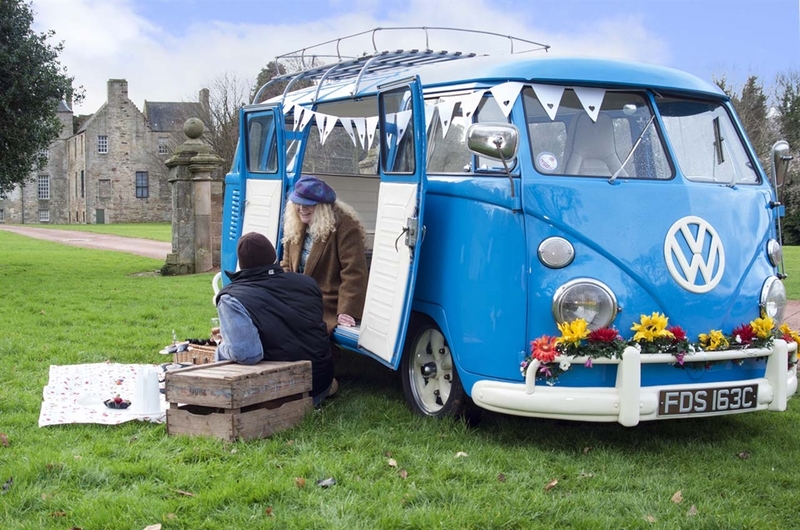 Sharing the joy of campervan living, Vintage VW Campers can assist you with a unique Scottish self-drive touring adventure or a chauffeur driven memorable day out. 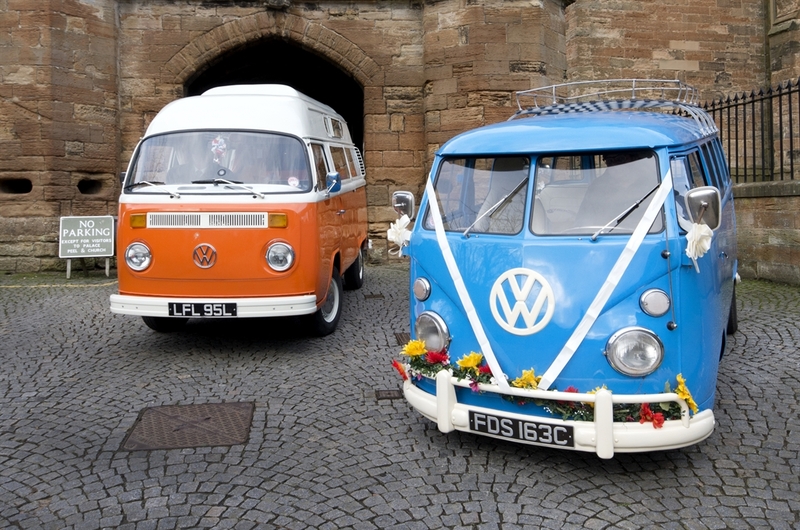 Our Volkswagen Campervans and Microbus hail from the 1960s and 1970s and have been lovingly restored to offer you modern comforts, with vintage style. 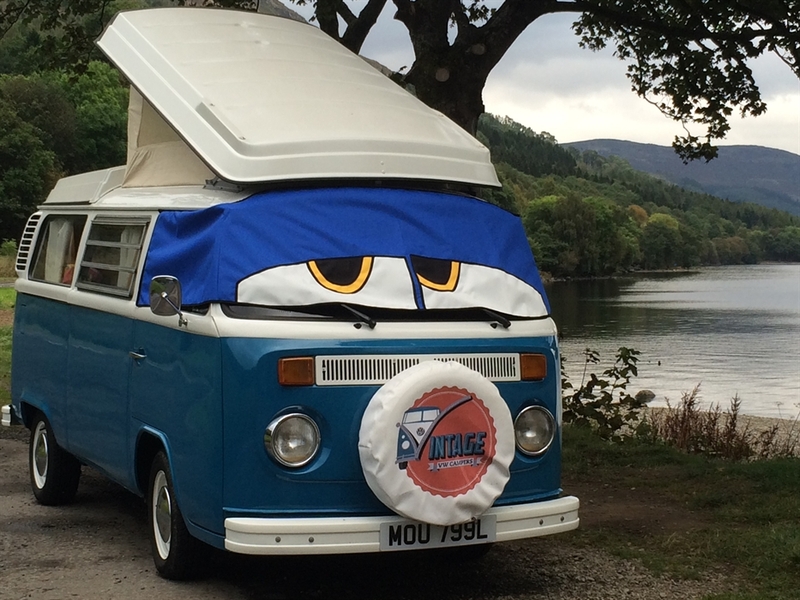 These iconic Vintage VW Campers will offer you a view of Scotland like no other. Do watch our video and view our images on Instagram. 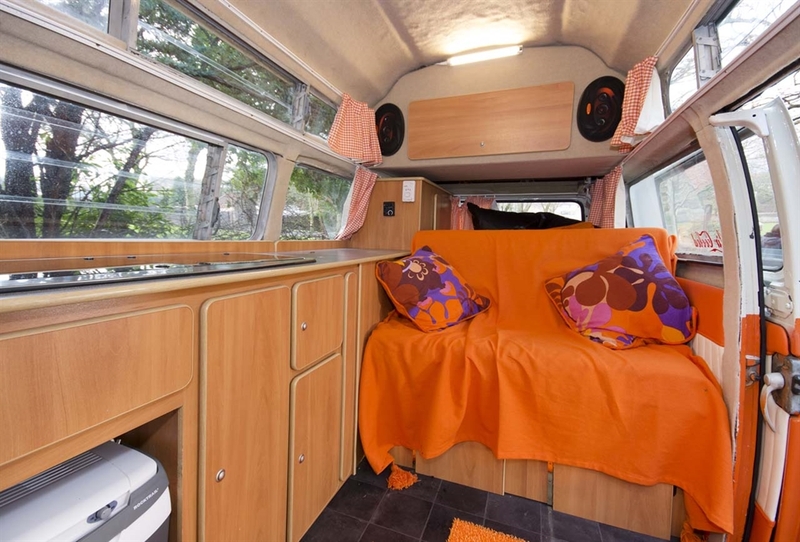 Choose from our self-drive bay window campervans, suitable for touring holidays: Agnes, Blondie, Ziggy, Lola or Oor Wullie. We provide all you need to drive, tour, cook & sleep your way around Scotland, basically a ready made self-catering holiday home on wheels. 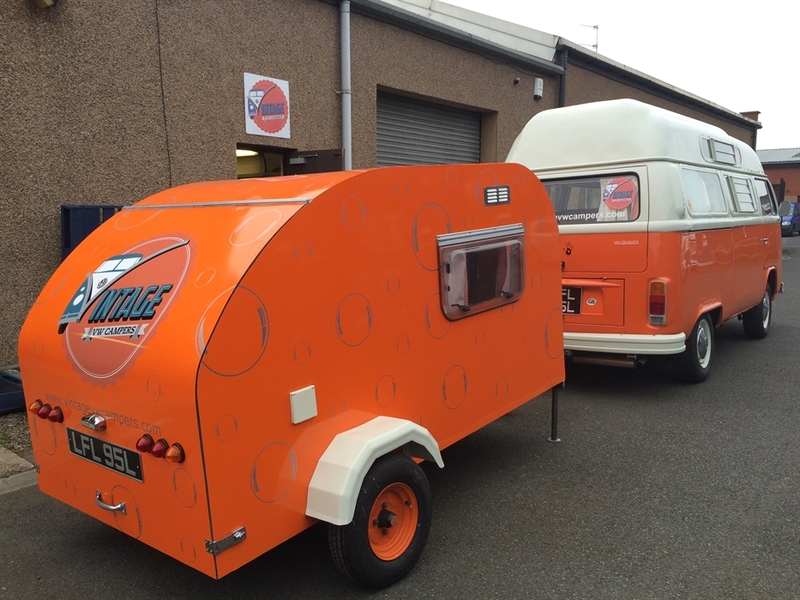 Lola & Blondie can tow The Nodpod, our Teardrop Trailer, which provides further sleeping/cooking & storage options. Or if you would like a day trip, Meg, our chauffeur driven splitscreen microbus is ideal for private tours or special days out. She seats seven people besides the chauffeur. 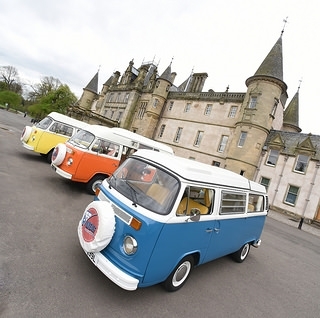 Retro cool and funky, these vehicles come ready equipped to enjoy Scotland's great outdoors and all the vans have heaters (when on electric hook-up). Once booked with us, we will provide as little or as much help as you require, down to planning routes and itineraries, bespoke to your interests. 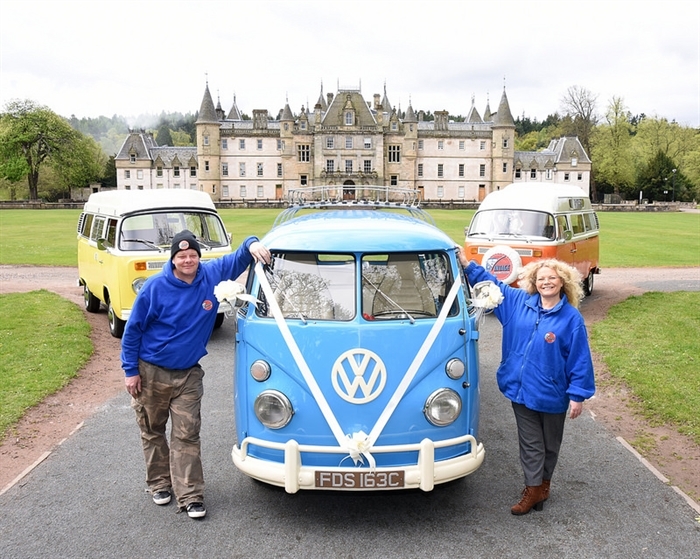 Situated in Granary Square, on Bankside, near The Falkirk Wheel, Helix Park and The Kelpies in Falkirk we are close to Edinburgh and Glasgow airports and can help organise your transfer to our HQ to pick up your Vintage VW Camper. We are less than 5 minutes drive from Falkirk Grahamston railway station and can pick you up from there. If you prefer to drive to us, you can leave your car in a secure yard, while on your Vintage VW Campers holiday.